Ethan Brown grew up on a farm. It was this childhood that led him to believe that there had to be a different way to create delicious meats. 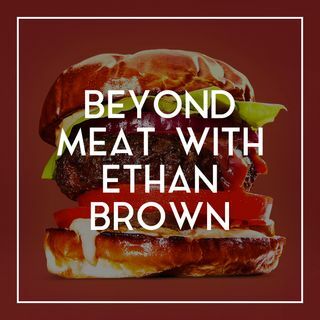 Using science (and a little time) Brown developed a plant protein burger that has been lauded for its incredible performance as an imitation beef burger. Reviews illustrate nothing less than pure disbelief in tasting the “bleeding” burger. While the nutrition facts are not necessarily diet-friendly with “significantly more protein, sodium, calories, and ... See More fat compared to a normal burger," according to Tech Insider, Brown says the Beyond Burger hits on a few key factors which makes it a win: Human Health (in opposition to animal proteins), Climate Change, Natural Resources, and Animal Welfare. On this episode of The Barron Report, Paul talks to Brown about the evolution of plant-based meats, how consumers have started demanding it, and Beyond Meat’s future plans for expansion and distribution. You won’t want to miss this one. Listen above and follow along with the show notes below.